How do I add an existing device to an different, existing project? HI, I have a number of projects, one measures temperature in my garage; another measures temperature in my fridge. I would like to add a Labeled Value widget to the fridge project to display the garage temperature (the relationship between the ambient temp and the fridge temp). I’ve read a lot of docs, forums, played with the app (New Device, New Tag etc), I’m aware I can add a NEW device, but not an EXISTING device. My issue is that if I add a new device the app generates a new token, which I would presumably have to change in my existing, operational device? Is this correct? Is there a method to add an existing device, that already has a token, to an existing project - without having to change tokens in either/or of the devices? Use bridge for that… OK, not for adding existing devices, but rather sharing info between different projects. 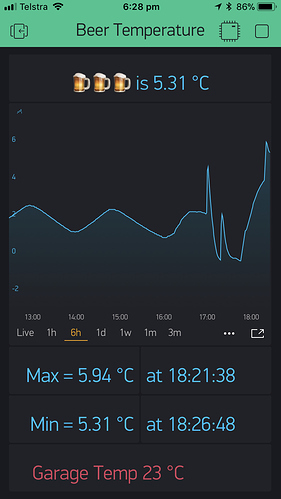 Device A can send vPin data to Device B.
I do that when sending data between my solar monitors outside DHT22 sensor to my benchtop project, and compare it with the inside DHT22 sensor. I havent finished yet, but am working on a writeup for my C++ Blynk - Code Examples for Basic Tasks (Work in Progress) topic. Thnx. Got it. Send temp data from Device1 to Device2; then from Device2 to widget in Project2. I’d hoped it was as simple as adding the display widget to Project2 and configuring it to access data on an existing board . . . maybe one day an option for Exiting Device (would look for all devices in use by all projects in the app), in addition to New Device. This would allow adding widgets ‘on the fly’ between already running projects without need to change code. Fairly simple… just a couple of lines added to the sending project… I now have a bidirectional Bridge demo on my link above on my last posting. Success. Couple of lines on the sending device PLUS a couple of lines on the receiveing device to handle the imcoming data. 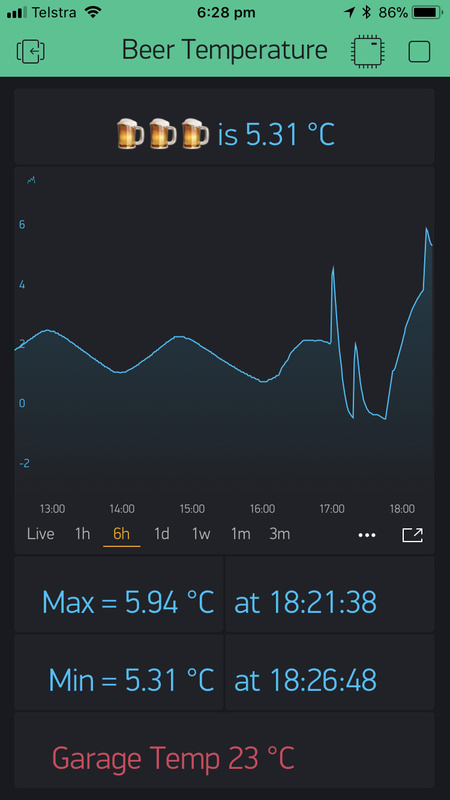 The temperature of my beer fridge is running on device2 (WEMOS D1 Mini Pro); Garage Temp is on device1 (WEMOS D1). thnx for the advice and guidance!